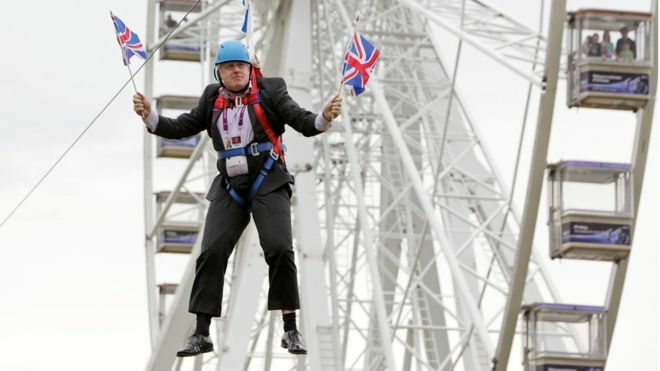 Britain Analysis: A Buffoon as Foreign Secretary — Idiocy or A Clever Political Move? On Wednesday, Theresa May replaced David Cameron as Britain’s Prime Minister. The change was expected, following Cameron’s resignation over the vote in the June 23 referendum to leave the European Union and the withdrawal of other challengers for his position. May, who was Home Secretary in the Cabinet, is being seen as the Conservatives’ hope to re-unite Remainers and Leavers after a divisive campaign. What followed next was the surprise. In one of her first Cabinet appointments, May named the former Mayor of London, Boris Johnson, as Foreign Secretary. Although he led the Leave campaign, Johnson’s political career appeared to be in jeopardy after the vote. He apparently had counted on a narrow loss for Brexit, meaning that he could challenge Cameron as Prime Minister while not having to take responsibility for actually leaving the EU. Confronted with Leave’s win, an uncertain Johnson was out-maneuvered by other politicians. He did not even put his name forward to replace Cameron. The former Mayor also carries the political baggage of being seen as a buffoon by many observers, with a series of photo opportunities for the British public not necessarily producing the best result. Johnson has labeled African members of the British Commonwealth as “flag-waving piccaninnies” with “watermelon smiles”. He has called Turkey’s President Recep Tayyip Erdoğan a masturbator and goat-lover in a poem. His reaction to Barack Obama’s visit to London in April, with support of Britain in the European Union? He wrote in a newspaper column about the “part-Kenyan President’s ancestral dislike of the British empire”. The choice of Boris Johnson as Foreign Secretary is both controversial and bold. It is controversial as Boris has made an art of the politics of anti-politics. He has played the populist clown as a way to advance his own political career — a cynical ploy to avoid the need for serious positions on important questions. Johnson also has a casual relationship to the truth and a reputation for indolence while he was Mayor of London. Because he was late in his decision to oppose European Union membership, many saw his move as opportunist rather than principled. Yet Theresa May’s decision is also a bold one, as she attempts to get to grips with the Brexit problem. Leave’s architects of this current situation have been given the jobs of making it work. David Davies has been given the new role of Minister for Brexit; Liam Fox has been made Minister for International Trade, with the task of finding new markets for Britain outside Europe; and the job of top diplomat goes to Boris. This is a clever move. It will please the Euro-sceptic right of the Conservative Party, who will feel that they are getting their way — an important gesture, given the Tories’ small Parliamentary majority. It also puts the responsibility to deliver in the hands of the Leavers. If they don’t deliver what their supporters want it will be their failure. And if they are forced to agree a deal with Europe that falls short of the wilder wishes of the hard Brexiteers, then there will be no one of substance in the Leave campaign who can challenge from outside the Government. This ties the fortunes of the Leavers to their decision, whatever it might be. It gives Johnson the task of justifying to the world a position whichmost outsiders see as self-defeating and counter-productive. Inevitably, part of this process will be the education of Boris about how the world sees Britain, rather than how he will inform the world of the UK’s new direction. But it also gives May further challenges in her new Cabinet. How Johnson’s role fits alongside that of the Minister for Brexit will need to be worked out. Institutional meetings at home and abroad still require the Prime Minister’s presence, as well as that of the Foreign Secretary. Negotiating a new relationship with Europe will be a collective enterprise. And so, whatever’s May calculations, it will remain a collective responsibility — she can hand a poisoned chalice to the Brexiteers, but that will not guarantee her own immunity and political health.